Pit Lion can't be played unless there's a friendly creature in each lane. 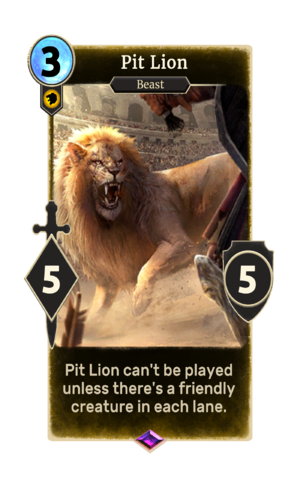 Pit Lion is an epic Willpower creature card. It is part of the Core Set. Each Pit Lion summoned contributes towards the "Lions tamed" statistic. This page was last modified on 24 September 2018, at 23:07.